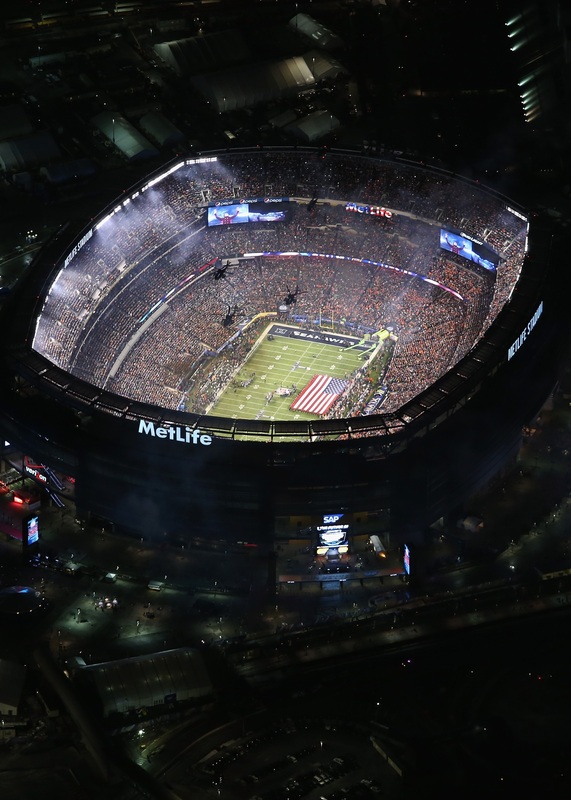 So what exactly does the Super Bowl have to do with military aviation? Well, ever since 1968, the most important game in professional football is kicked off (pun somewhat intended) with the flyover of military aircraft immediately following the singing of the Star Spangled Banner, the US national anthem. If you’ve watched the big game before and heard the scream and howl of jets, this year, you might’ve been pleasantly surprised to hear the thunderous roar of nine AH-64 Apaches, UH-60 Black Hawks and CH-47 Chinooks belonging to the 101st Combat Aviation Brigade, aka “The Wings of Destiny” of the 101st Airborne Division. To accommodate the military aircraft, the Federal Aviation Administration boxed off and cleared a stretch of airspace, preventing scheduled flights from JFK International, LaGuardia, Teterboro and Newark Liberty from entering the area and allowing a free space for the formation to fly through. This isn’t just done for the flyover but also for security purposes as well. Timing is everything as the helos had to make their appearance just as award-winning soprano Renee Fleming completed the last few words of the national anthem. Ordinarily, military pilots are imbued with a deep appreciation for timing and it shows during combat operations. But Super Bowl 48 was no combat operation. So, to pull this off, the pilots kept in constant radio contact with coordinators on the ground at the Super Bowl, scheduling the takeoff, speed and all other factors perfectly. The following photographs are by SGT Duncan Brennan of the 101st Airborne Division, 101st Combat Aviation Brigade Public Affairs Office. Enjoy! A view from above! A Chinook crewman took this from the bay of his helo. Check out our Facebook page for more awesome footage!